The Apple Valley Lake housing market has been experiencing a strong increase in buyer activity now that the fall weather has finally arrived. You may be wondering what I mean by "finally arrived" and you may not know that Central Ohio experienced one of the coldest and longest winters in over 20 years. The good news is the weather is gorgeous, sunny and warm, June has arrived and school is out for the season. 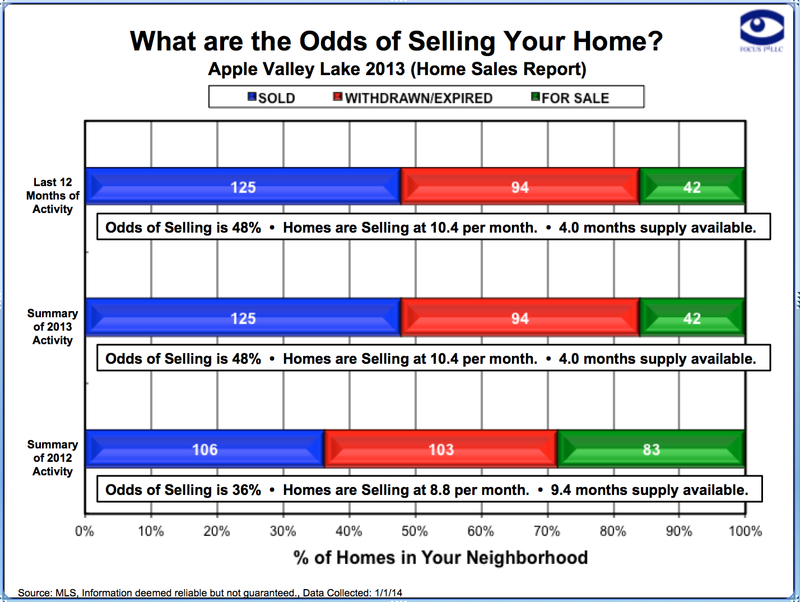 This report offers some insight on the Apple Valley Lake housing market during the last 6 months. It factors in the 76 active listings, the pending home sales, the expired listings / off market homes and the 31 Apple Valley Lake homes that have already SOLD Since December 1st, 2013 - June 1st, 2014. This report takes into account how many months of active listing inventory is available and calculates the number of sales averaged each month and the far right hand column shows you the current absorption rate (how many months of available inventory based on the monthly homes sold). This report offers some very useful information because it helps sellers determine how aggressive they will need to be when they select a listing price for their home. This info is also beneficial for buyers because they can tell which price ranges have more available listings than buyers because when the absorption rates shows over 12 months of inventory that is an indication that particular price point favors the buyer. If you are in the market for a home at the Apple Valley Lake be sure to view and compare all of our available Apple Valley Lake homes for sale at this link. Apple Valley Lake home sales have been on the rise and we have been experiencing a boost in home sales. This report highlights the Apple Valley Lake home sales activity over the last 6 months comparing the number of Apple Valley Lake homes that sold with the available homes for sale along with pending home sales and off markets. This report offers a much more detailed view of the Apple Valley Lake real estate market than the typical reports that only show the number of homes SOLD. The very top section of this report breaks down each segment of the Apple Valley Lake housing market and it features the absorption rate for each specific price range. This is very important because it paints the most accurate picture of the housing market and demand. 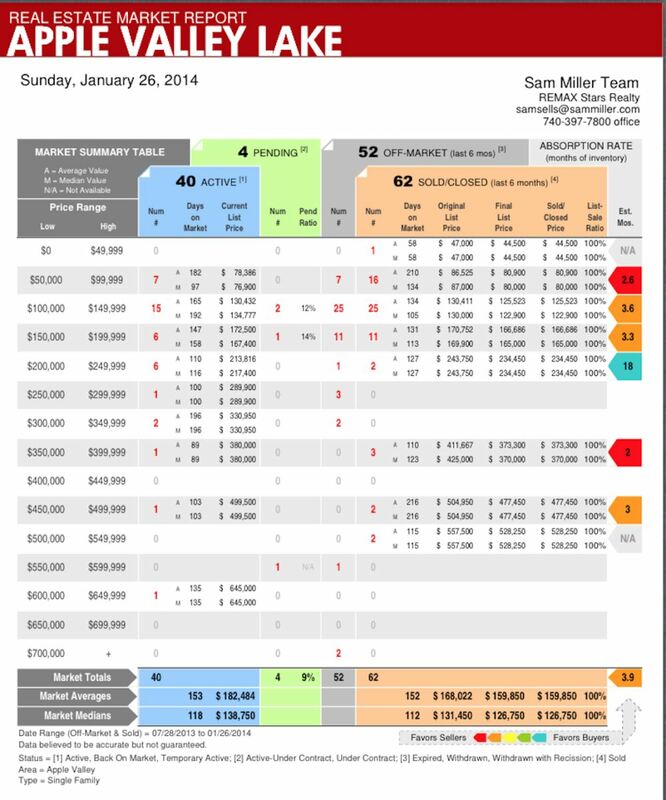 Take an extra close look at the far right side of this report and you will see that the column is broken down by color coding and each color identifies if that price range currently favors buyers or sellers based on the available months of inventory. Red favors the sellers because there is a shortage of listings based on recent home sales and blue favors buyers because there is currently more available homes than buyers buying in that price range. The housing trends and absorption rates that are featured in this report are constantly changing especially during the different seasons so be sure to watch for our weekly updated Apple Valley Lake housing reports. 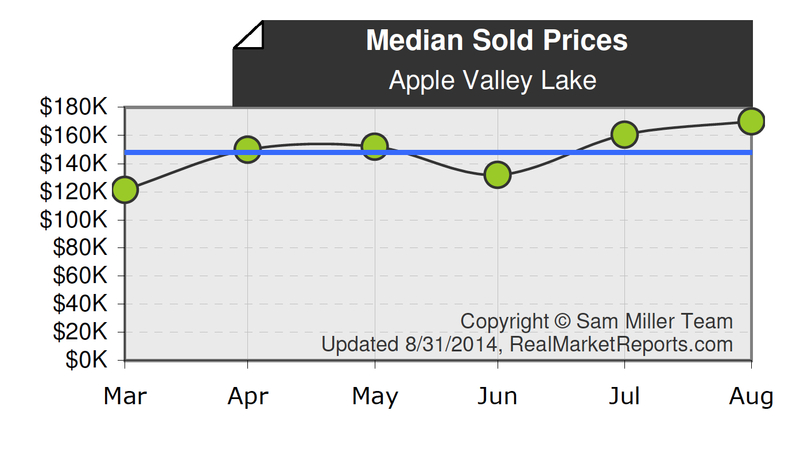 Let's take a look at the Apple Valley Lake real estate market activity. Currently there are 3 home with sales pending in the market overall, leaving 39 homes still for sale. The resulting pending ratio is 7.1% (3 divided by 42). So you might be asking yourself, that's great... but what exactly does it mean? I'm glad you asked! The pending ratio indicates the supply & demand of the market. Specifically, a high ratio means that listings are in demand and quickly going to contract. Alternatively, a low ratio means there are not enough qualified buyers for the existing supply. These numbers change dramatically at the Apple Valley Lake depending on the time of year and weather conditions. This time of year with snow on the ground and when the lake is frozen over there are simply fewer buyers looking than compared to the peak boating season during the summer. During the winter months the pending ratio typically ranges from 6% to 9% which is when the ratio is at it lowest for the year. During the spring and summer we can see the "sale pending ratio" approach 25%. The sunshine months bring people to the lake for a little fun in the sun boating, jet skiing and spending time at the beaches. When people are on the lake it boosts buyer interest and also drives demand for Apple Valley Lake homes. Taking a closer look at the graphic above, we notice that the $50,000 to $100,000 price range has a relatively higher number of contracts pending sale. We also notice that the $100,000 to $150,000 price range has a relatively large inventory of properties for sale at 14 listings. The median list price (or asking price) for all properties in this market is $142,500. 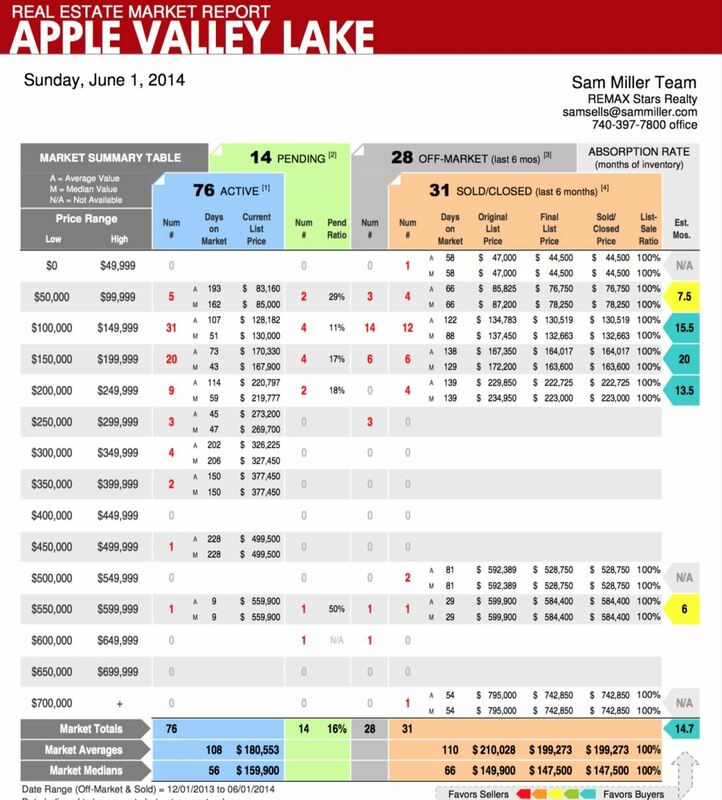 A total of 66 home sales contracts successfully sold and closed at the Apple Valley Lake in the last 6 months with a median sold price of $123,500. Breaking it down, we notice that the $100,000 to $150,000 price range contains the highest number of sold homes. The graphic above shows the level of home sales at the Apple Valley Lake during the last 6 months (in blue) and it also shows the number of homes that were either withdrawn or expired from the market (in black). 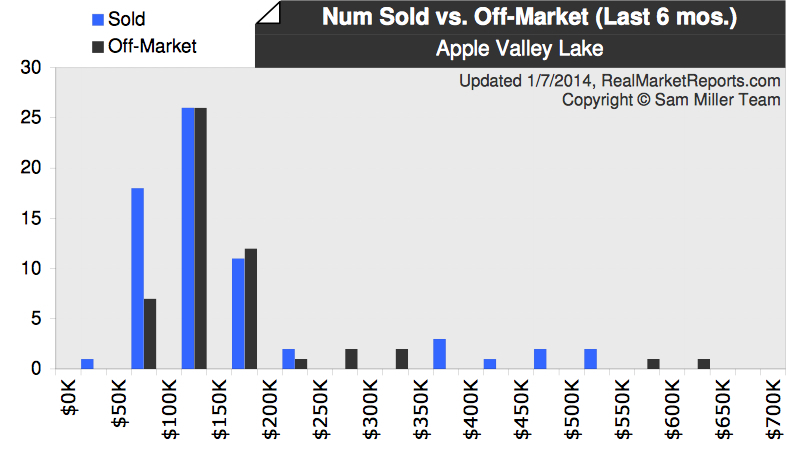 The graph demonstrates that there are hot spots in the Apple Valley Lake housing market. When the spring season is upon us the these market trends will begin to shift and the Apple Valley Lake housing market will begin to bloom once again. Facebook users, If you would like to be plugged into regular Apple Valley Lake updates connect with us by clicking and "Liking" our Apple Valley Lake Facebook page. The 2013 Apple Valley Lake housing reports the strongest increase in annual home sales this community has experienced since 2007. The detailed report below was created using statistical date from the Knox County Ohio MLS by Apple Valley Lake REALTOR Sam Miller of REMAX Stars Realty. In 2012 there was a 9.4 month supply of available homes and only 4 month supply in 2013 which confirms that the Apple Valley Lake housing market is more balanced today. So many Apple Valley Lake homeowners and real estate professionals believe that the peak home selling months are during the summer season. The reality is that the only homes that truly benefit from the peak summer selling season are the Apple Valley Lake waterfront and lakefront homes that are valued from $350,000 and $850,000. As you can see from the graph below the Apple Valley Lake housing market is active all year long even though most real estate agents will tell you that the market is stronger during the summer months. Only the most expensive waterfront homes tend to benefit from the peak summer months because of a more captive audience during the lake and boating season. The majority of the homes at the Apple Valley Lake ranging in price from a low of $50,000 to $350,000 have been selling well throughout the entire 2012 calendar year. This graph confirms that the majority of the Apple Valley Lake homeowners can feel comfortable listing their home any time during the year regardless of the month or season. If you are in the market for a home at the Apple Valley Lake be sure to view our extensive selection of homes by clicking this link. Home sales in the $100,000 price range and below have shown a sizable increase compared to 2011. The 2012 year end numbers will prove to be even better considering that there are still 2 more weeks of MLS home sales that are unreported. In 2011 the Apple Valley lake housing market averaged a 13 month supply of available homes priced from $100,000 and under and in 2012 that number improved to a much lower 9.9 months. This number should also improve by the end of 2012 when the year end numbers are reported by the MLS. The most important statistic I can share with you is that $100,000 homes and even the more affordable homes experienced a 52% increase in the total number of homes sold in 2012 compared to 2011. This is a huge boost in residential home sales and it is also a positive sign that the Apple Valley Lake housing market is more balanced today and headed in the right direction. If you are in the market to buy or sell a home at the Apple Valley Lake now is a great time to make a move so feel free to visit our Apple Valley Lake homes for sale by visiting this link. This detailed home sales report was prepared by Apple Valley Lake REALTOR Sam Miller by compiling MLS market data using active Apple Valley Lake homes for sale, homes that have successfully sold at the Apple Valley Lake and Apple Valley Lake homes that failed to sell during their listing period with their Knox County Ohio real estate agent. Real estate and especially residential homes sales at the Apple Valley Lake continue to experience a significant boos in activity. The number of homes sales continues to rise yet the average sales value of an Apple Valley Lake home hasn't experienced any real appreciation since 2007. This past September at the Apple Valley Lake we exceeded September of 2011 in the number of homes that sold that month by more than double. 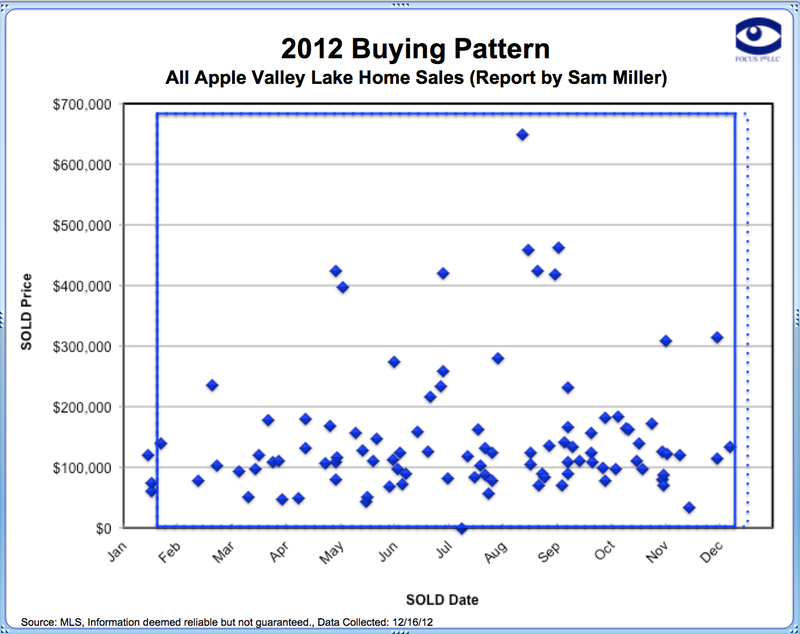 You read that right...more than twice as many homes SOLD at the Apple Valley Lake in September 2012 than in September 2011. I have other exciting news to share with you relating to Apple Valley homes and real estate. From January 1st, 2012 through September 30th, 2012, the Knox County MLS reported that the number of homes sales were up by at the Apple Valley Lake by nearly 20%. This means that 20% more Apple Valley Lake homes have successfully SOLD this year than last year during the exact same time period. This is a positive sign and we believe that home sales at the Apple Valley Lake for 2012 could surpass 2011 by as much as 22% and maybe closer to 25%. 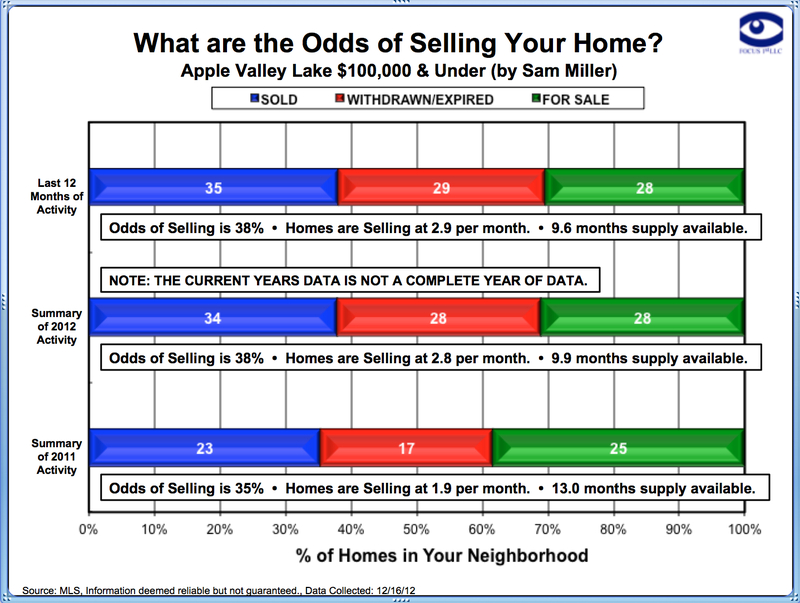 Most real estate agents aren't aware that I study the Apple Valley Lake real estate market very closely and compare not only home sales but also the number of available homes for sale and also the number of homes that fail to sell and expire from the market. I complete these real estate market studies so that I always know how many months of available inventory is on the market at any given time. Knowing this information helps us determine pricing trends, future days on market / how long an average Apple Valley Lake home takes to sell and it also helps us know whether home prices will drop, remain steady or start to increase. We are currently experiencing the most stable housing market since before the financial meltdown that unraveled back in 2007-2008. If you like this type of data be sure to bookmark this page or RSS our webpage. 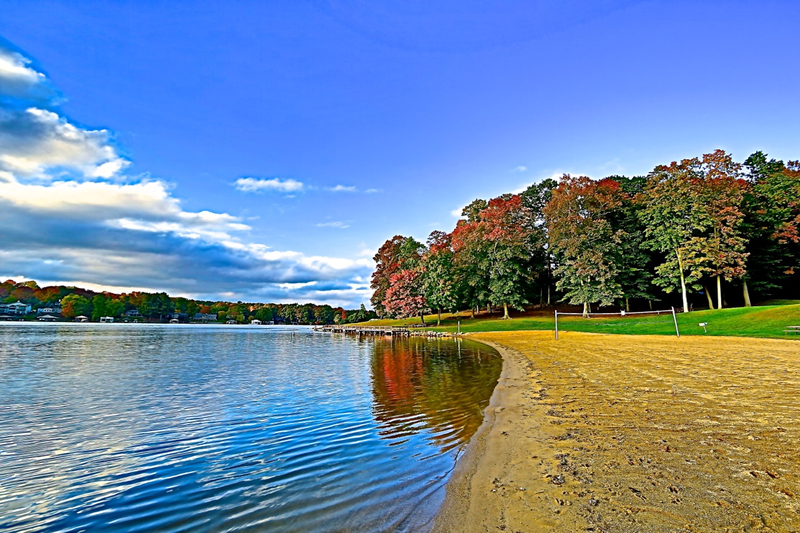 If you are a Facebook user you may want to "Like" our Apple Valley Lake Facebook Community Page because we post lake photos, videos and updates relating to the Apple Valley Lake.